What was once a 42-student science lab class has slowly dwindled to 23 refugee students. Now, these newcomer refugee students are able to get the one-on-one help that they need to learn the English and curriculum necessary to go into mainstream high schools after their two years at NCNAA. With recent crackdown on immigration, attendance at NCNAA has decreased within the past two years. Because of the decrease, worry among teachers about the closing of the school has started to rise. Despite that fear, teachers at NCNAA are responsible for teaching the refugee children as much as they can in two years before they are sent off to mainstream high schools. This includes a variety of tasks, such as how to use a notebook and how to participate in cooperative learning. Shivaprasad finds joy in her work and helping her students. 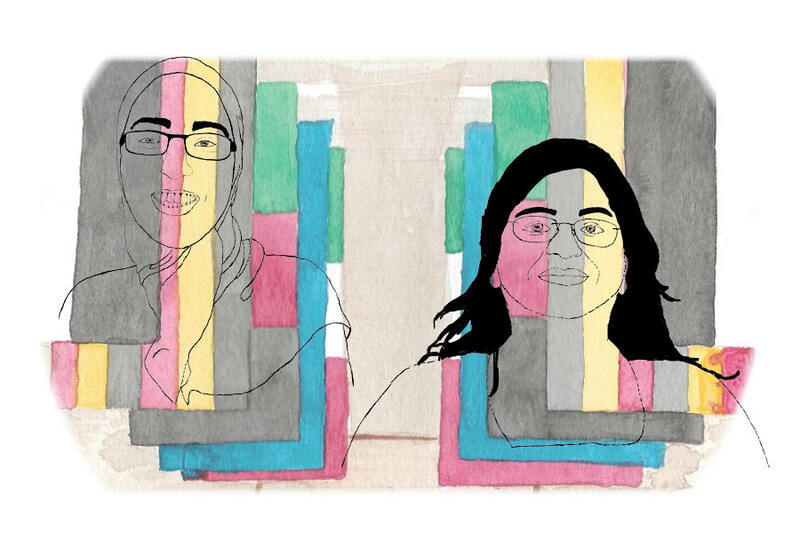 Even though teachers like Shivaprasad and Bourkadi are able to help their students more in the classrooms, they are not able to have the biggest impact possible due to decreasing attendance. While the future of NCNAA and the teachers it employs may be uncertain, the teachers are standing strong for their students.